Rachel Radley is a Vaughan Family Lawyer specializing in divorce, child support, spousal support, custody and access, child protection and other family issues and disputes. With many years of experience in all aspects of Family Law and Divorce cases, Rachel is a former FRO lawyer experienced in crafting a settlement agreement that is fair, responsible, and enforceable. 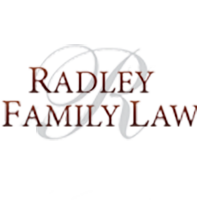 At Rachel Radley Family Law Barristers & Solicitors we offer a wide range of Family Law services. Our experienced team has helped hundreds of families through this difficult time with dignity and professionalism. We offer our clients the best results and strive to ensure that by the end of the legal process they are well on their way to start their new life comfortably and worry-free. Our goal is to offer you a solution best tailored to your unique situation. Our knowledgeable team will ensure you understand all options available to you and make the best possible decision. We specialize in a wide variety of services including divorce, child support, spousal support, custody and access as well as other family issues and disputes and are able to professionally address any other issue you may have related to your divorce. We’re located in Vaughan, our office services Toronto, Woodbridge, Maple, Markham, Newmarket, Richmond Hill, and York Region. We will be happy to answer your questions and guide you on your journey to a new beginning. Contact us today and learn how we can help you put the past behind and get a fresh start!